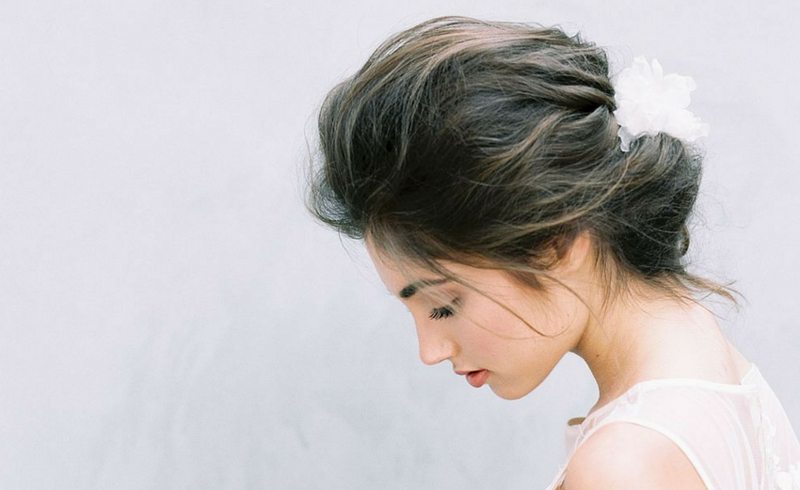 Channel light and airy summer style when it comes to your wedding hair and makeup. Whether you're choosing a look for your big day or a pre-wedding event, the team at Face Time Beauty is sharing their best summer wedding hairstyles. 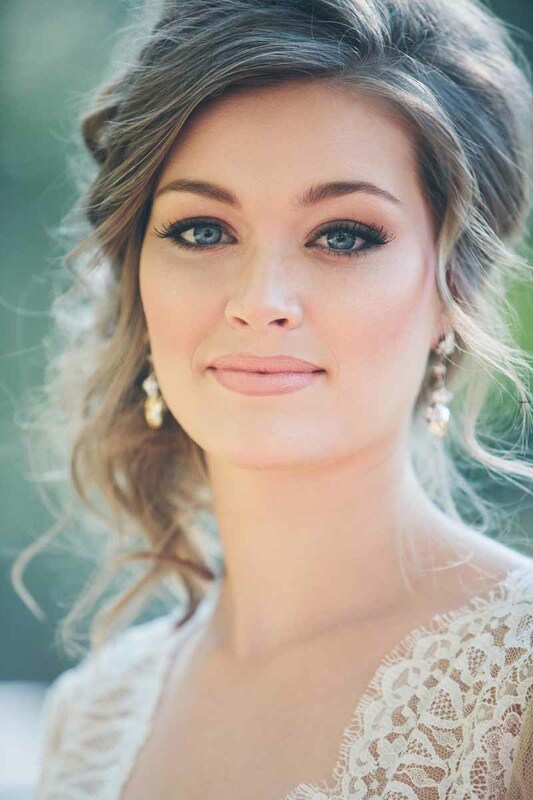 Linsey Snyder Wachalter, owner of Face Time Beauty, shares her tips and tricks for absolutely gorgeous pre- and post-wedding hair and makeup. 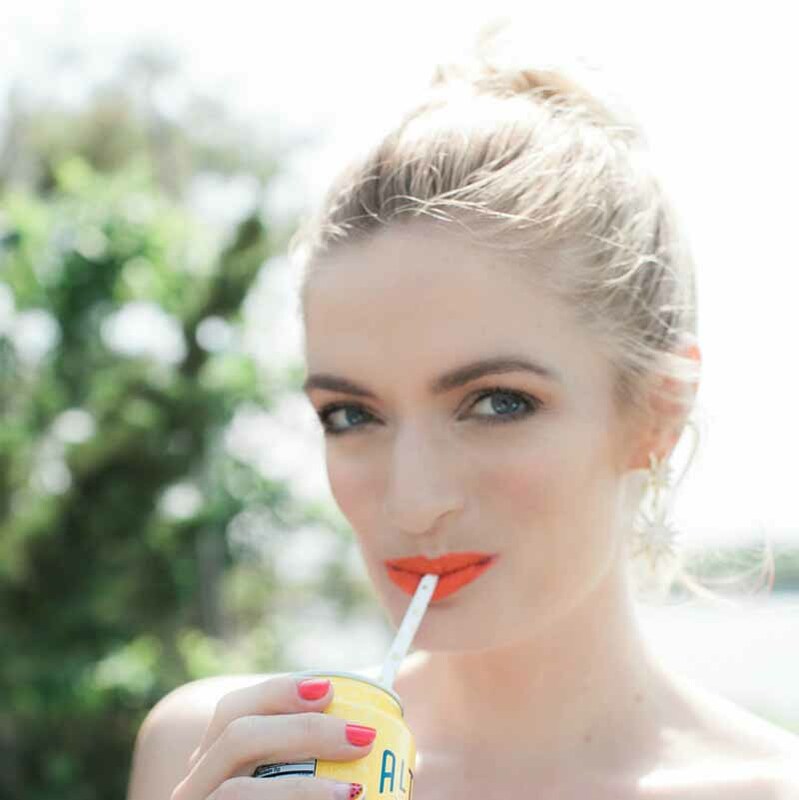 Choosing the right hair and makeup look for your warm-weather event is tricky. It's about so much more than just what you love and what looks good; you also want to select a style that will keep you cool, that feels fresh and fun, and that has serious staying power. Easier said than done, right? Perhaps if you don't have Linsey Snyder Wachalter, owner of Face Time Beauty, in your corner. 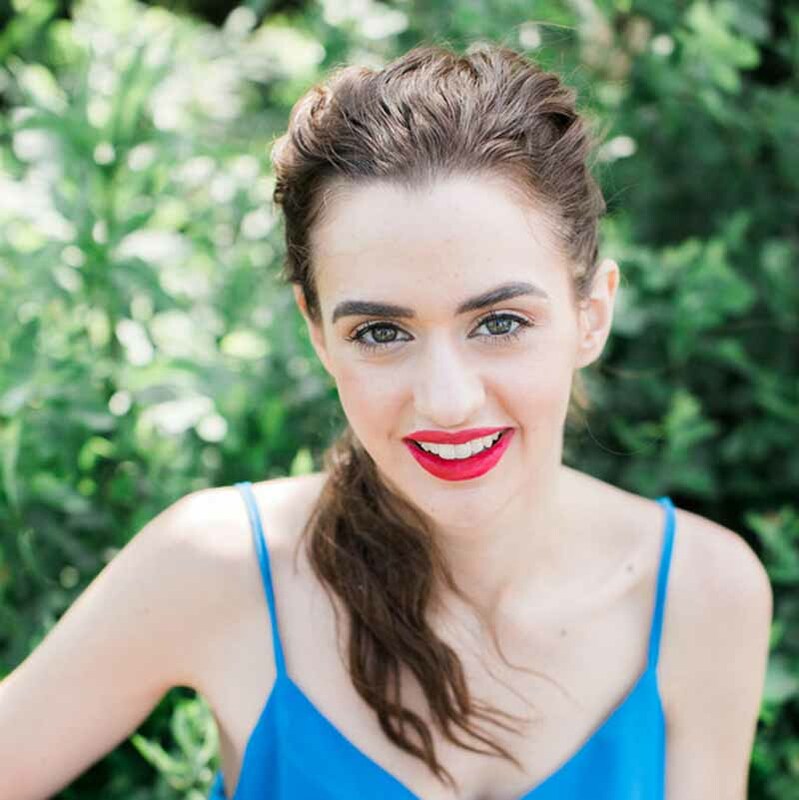 Here, the pro shares her favorite hair and makeup looks for every pre- and post-wedding event. From your engagement party and bridal shower to your bachelorette party and the wedding itself, Wachalter's tips and tricks are genius, fool-proof, and absolutely gorgeous. For an unfussy take on an updo, consider Wachalter's favorite new look, the twisted three-tier ponytail. "It's so romantic and frames the face nicely, without being too slick," she says. While it's not a "fancy" look, Wachalter thinks it's the perfect look for nearly anything other than a black-tie wedding. "It would be especially pretty for an engagement photo session!" Bonus: It's an incredibly versatile look. Wachalter recommends it for someone with medium to long hair, but brides-to-be sporting shoulder-length locks can start the style higher up and create a half-up version of this layered look. Pair this hairstyle with one of the prettiest new makeup trend: The rose gold eye. "Rose gold eye makeup is all the rage right now and I love it," Wachalter says. "There are so many rose gold tones and everyone can find a hue that flatters their face." Pair your shadow with a light layer of mascara, a sweep of bronzer, and rose-hued lips for a summery makeup look. Whether you want to own this style for your shower, rehearsal dinner, or the wedding itself, Wachalter insists this braided crown is so perfectly bridal. "It's definitely a whimsical look that takes effort," she says, "but you can pull out pieces to make it look a little more relaxed. It's really fun, and a classic summertime look, but it can be difficult to do on your own." If you're planning to wear a braided crown on your wedding day, it's best to leave the look up to the professionals. But for a bridal shower or bachelorette party, ask a braid-savvy 'maid to help you twist and tie. Start in the back of the head near the nape of the neck and then flip your hair over to start braiding. With every section you braid, pull in some of your remaining hair until you get back around to the start of the braid. Tuck any loose hairs in and pin. What's easier (and prettier!) than a classic ponytail? Inspired by Olivia Palermo's incredibly chic big-day pony, Wachalter loves the way this seemingly simple style pairs with a gorgeous wedding dress. And while it's aesthetically pleasing, it's also undeniably functional, too. "It's the perfect style for the dance floor," she says. "I always love hair down with big waves for the ceremony and then sweeping it up to the perfect pony for the party." Who doesn't love a top knot? Wachalter loves the look for everything from your your engagement party to your bachelorette weekend. "It's so chic, but also keeps your hair off your neck," she says. "And it looks great with a pop of color on the lips." Plus, this look couldn't be easier to achieve at home. Pull your hair into a high ponytail and secure with an elastic. Gently wrap the hair around the base of the pony, twisting as needed but making sure it's not too tight. Pin in place, making sure to work them into the hair so that they're invisible to the eye. To make it even more wow-worthy, add a pop of color. 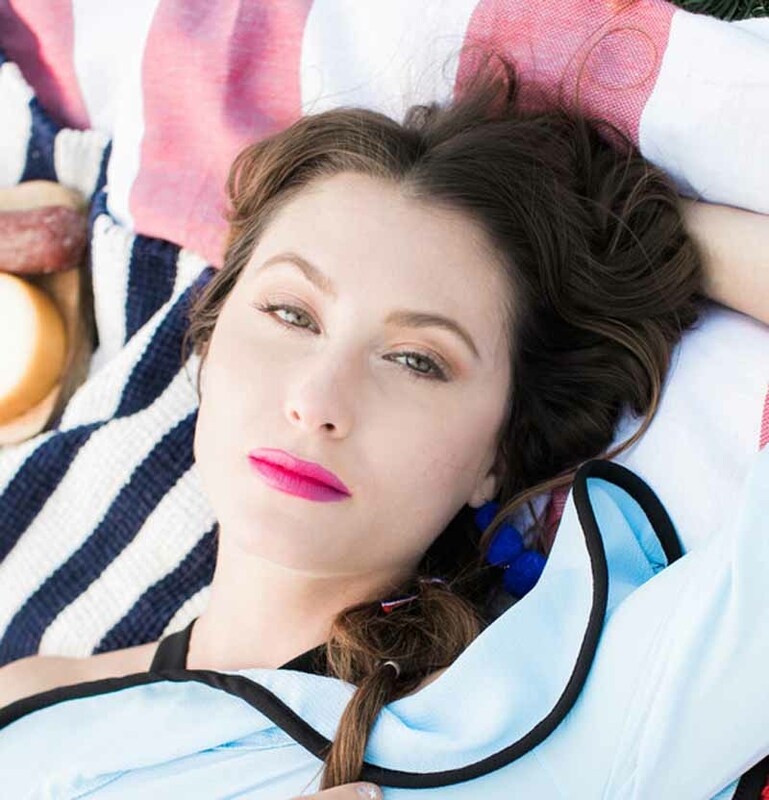 Wachalter's favorite beauty trend to pair with a top knot is the "popsicle lip." "They flatter everyone, and can be balanced out with minimal eye makeup," she says. "It also looks amazing in photography." She'd love to see more 'maids try the trend, with brides asking their girls to choose a pastel shade within the same family of colors. And remember, blue-based pinks look most universally flattering.